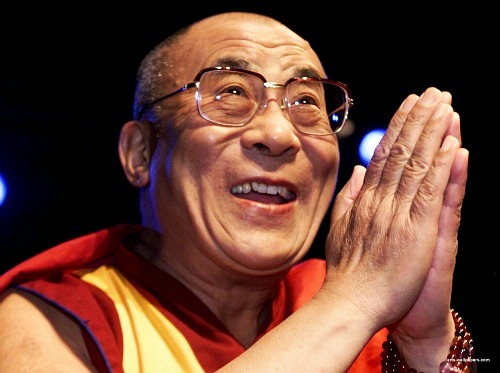 This entry was posted in Life is and tagged 14th Dalai Lama, bliss, Buddhism, cheer, cheerfulness, Dalai Lama, ecstasy, enjoyment, euphoria, exhilaration, faith, felicity, gaiety, Gelug, geniality, gladness, happiness, honor, Love, monk, Movie, Nobel Peace Prize, optimism, Tenzin Gyatso, Tibet, Tibetan Buddhism, well-being. Bookmark the permalink. No wonder the Dalai Lama is revered around the world, not only by Tibetan(s) and refugees. He speaks truth. Thanks for sharing your thoughts about this iconic figure, there’s always room for more. Thank you also for dropping by my blog! I’ve already seen this movie, and it was pretty good. Thanks for following my blog! I am big admirer of Dalai Lama and have a chance to assist to one of his conferences ( I do not know if it is right world ) he was giving in Buenos Aires / Argentina. It was magic ! Ahhh. Thanks for this lovely share. Now I want to go watch. What’s not to love about the Dalai Lama!! I remember enjoying the film. Thank you for following! I am also a big believer in the Dalai Lama and his mission of peace. I believe I’ve read his 10 Questions somewhere, but I will check out the film. Thanks for the follow. I’ll be checking in with your blog often.